Keeping your kitchen cabinets in great condition is up to you and you only. Whether you have a house full of kids or you live on your own, keeping your cabinets orderly will allow you to find anything you need in your kitchen when you need is most, as well as stay organized; and, there’s nothing better than an organized kitchen! For you to keep your new cabinets for Kitchens Pal orderly, weâ€™ve put together 10 steps to help you achieve organization easily. Reach inside each cabinet and drawer, and take everything thatâ€™s inside of them out. Go through whatever is in the cabinets, whether that be food or kitchen items. The items that you no longer use or use rarely as well as duplicate items should go in one pile and the other pile should be made up of items you use frequently. Do this to each cabinet and drawer in your kitchen. Hereâ€™s a tip: Be ruthless. Letâ€™s be honest; most kitchens donâ€™t have much storage space, so the goal here is to make sure you only keep what you use and love. Do you really need that lime juicer? Probably not. By now, we expect you to feel a bit overwhelmed about the amount of stuff you didnâ€™t know you had stored away in your cabinets. Now that you have groups of items you use frequently and rarely used items, itâ€™s time to group like items. Sort and sift through utensils and kitchen gadgets and pile them together in groups. For example, group together dishes, holiday utensils, baking items and items you only use once or twice a year. After you have organized all of the like items on the floor of your kitchen or kitchen table, decide where each of the items should reside in your kitchen. Make sure you keep food preparation in mind when you organize. For instance, youâ€™ll want all of the cooking and baking spices next to the stove, as well as utensils used for cooking on the stove top. This way, youâ€™ll avoid going back and forth when cooking and baking. Stay organized and keep preparation simple and easy! Keep your kitchen cabinets easily manageable by knowing exactly where food is stored. How do you do this? By using clear storage containers, of course! Group together foods, such as gravy mixes, hot cereal packets and sauce mixes in clear containers to avoid them being scattered around the cabinet. The same goes for flour and sugar; keep these ingredients easily organized and viewable in pop-top, clear storage containers. Keep food and utensils easy to find and organized to keep an orderly kitchen. Ever open your kitchen cabinets to be pelted in the head with a waterfall of Tupperware containers and lids? We feel your pain. Itâ€™s time to organize the Tupperware fiasco! Feel free to organize them however youâ€™d like. Some people want to put together a full set of Tupperware and stack them, and others put the lids in a larger bin inside the cabinet and stack the Tupperware. The beautify of it all is that itâ€™s up to you. There are cabinets that arenâ€™t always easy to use. For cabinets that are vertically shaped, take advantage of the space by hanging hooks. 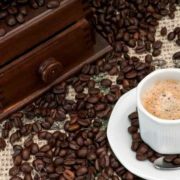 Hooks will allow you to use the oddly-shaped cabinets for hanging wine glasses, mugs and all types of other tools, such as measuring cups or oven mitts. Another point to consider when installing hooks inside cabinets is the space youâ€™ll leave available for other items. The flat space can be filled with other kitchen items, such as baking dishes, pizza pans or boiling pots. Lazy Susans arenâ€™t always used as they should be. Take advantage of your Lazy Susan by stocking it full of cooking ingredients, such as vitamins, spices, medications, oils, vinegars and soups. Additionally, feel free to use the Lazy Susan to store foods and drinks that donâ€™t need to be cooled in the refrigerator, such as pickles, olives or drink mixers. Keep kitchen drawers as organized as the cabinets. There should be no such thing as a junk drawer; however, everyone needs a place to put those little miscellaneous trinkets. All we recommend is that you keep your â€œjunk drawerâ€ organized with dividers so that it doesnâ€™t overflow. So, for all of the pens, rubber bands, tape dispensers and scissors, you will be able to know where each item is without having to rummage through a messy and unorganized drawer. Also, you wonâ€™t have to worry about how well the drawer will shut. Organization is key in a junk drawer, even if itâ€™s just that, a junk drawer. Nobody likes to come home to a home thatâ€™s messy. And, organizing your bills and papers can be easy if you have a few heavy-duty magnets. Attaching papers and bills to the side of your refrigerator with a heavy-duty magnet will keep your kitchen organized and will help you avoid accumulating papers on the countertops. Now that youâ€™ve cleaned and organized your brand new kitchen cabinets from Kitchens Pal, itâ€™s time your make sure your refrigerator is up to par. Grab the trash can and be ready to throw! We recommend cleaning out your fridge on the day before the garbage man comes. This way, thereâ€™s no rotting food sitting out in the hot sun. Read the labels on condiments and get rid of them if theyâ€™re expired or go unused for longer than a few months. Declutter your fridge and wipe down the shelves. A clean fridge is a happy fridge. 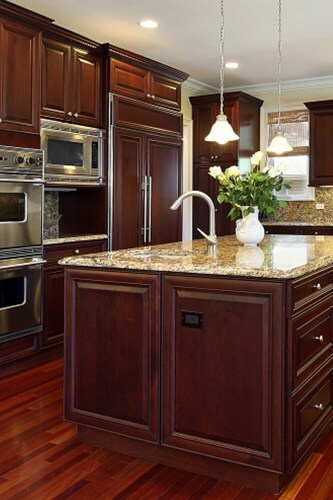 Upgrading your kitchen is easy when you have new cabinets from Kitchens Pal in Los Angeles. With our cabinet factory outlet store near you, youâ€™ll be able to have a kitchen to which you love coming home. Join us online today to view our incredibly popular Shaker Style cabinets in a color you love. Shop today and feel free to give us a call if you have any questions or concerns. Curious to learn more about the top kitchens of 2016? 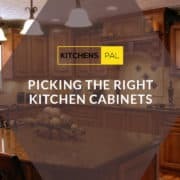 Read our previous blog post and stay up-to-date on the latest and greats in Los Angeles and the cabinet world with Kitchens Pal. 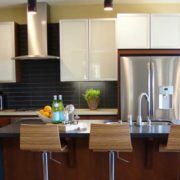 Why Choose White Cabinets? What Kitchen Knob or Pull is Best?